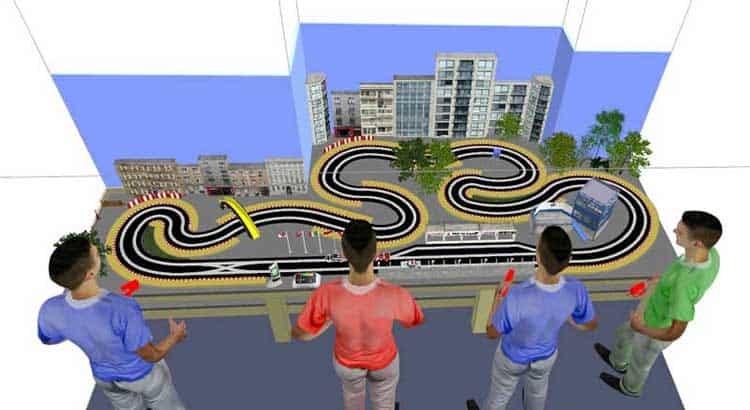 Ultimate Racer is a race management system and slot car track design program combined. 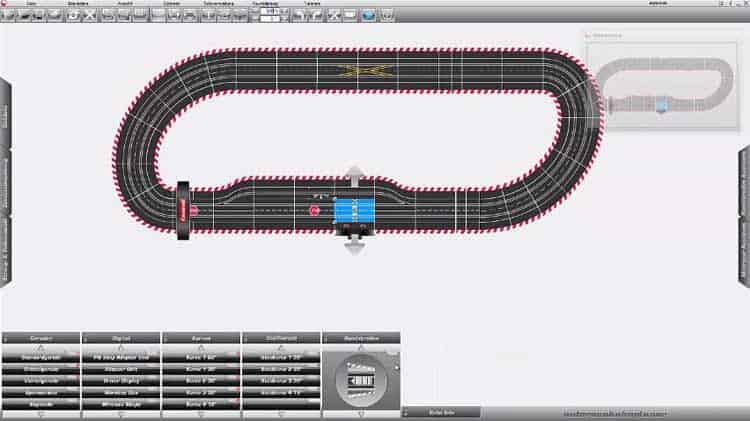 It is designed for any scale, style or brand of slot track and can support single or multiple lanes. Capable of exciting new 3D features that allow you incorporate track elevations and plan scenery. 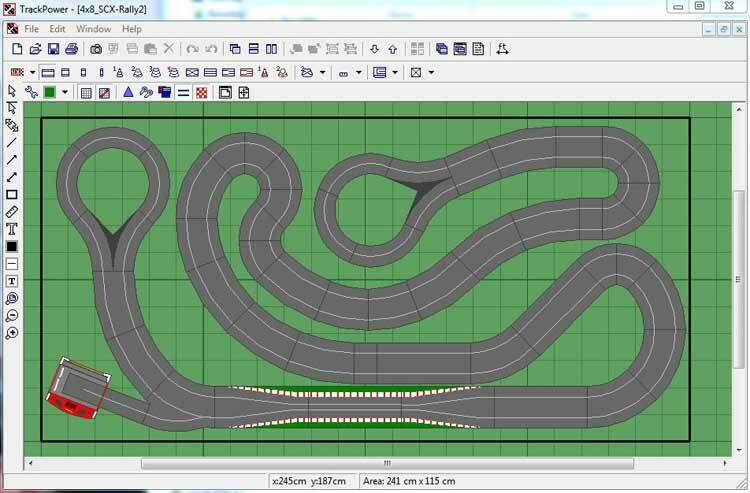 Hundreds of slot car layouts are available through the track archive and you can upload your own designs to share. 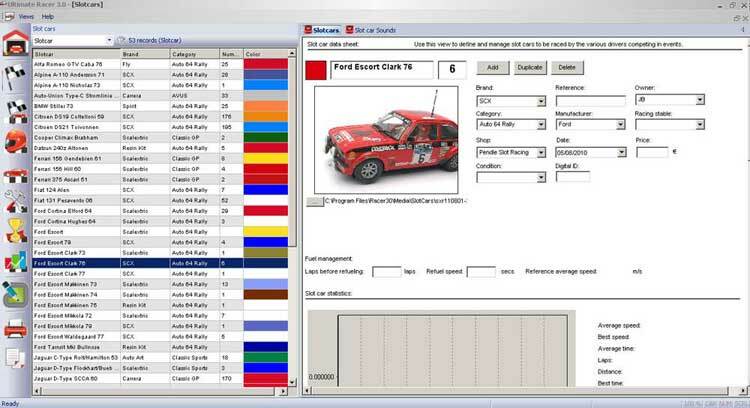 The race management portion can handle single races, test runs, tournaments and championships with support of up to sixty drivers. With precision timing accurate to 1/1000 of a second you will be able to keep track of drivers fast times and track records. 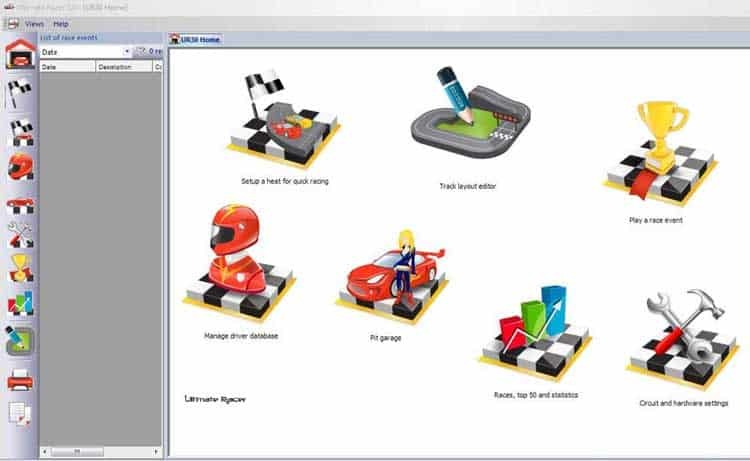 Ultimate Racer includes tools for keeping track of your slot car collection and all the various drivers who compete with you providing details, statistics, and race results.